Three Talent Management Strategies Developing Multi-generational Workforce — Helping people achieve goals. Generation Xers seek clear logic for their work tasks. Millennials want to make a tangible difference. Optimal talent management transforms work into being meaningful. Employees sharpen talent as they value beingtheir whole-being. So, this includes use of their time, talent, and relationships. Also, they feel safe and supported in both relationships and surroundings. Reverse-mentoring, the corporate break place, and role-sharing are three strategies to support a strong multi-generational workforce. Mentoring is increasingly becoming structured and strategic, as organizations are noting its essential role in all aspects of talent management. A natural relationship exists between Baby Boomers, who value teamwork and want respect from their younger coworkers, and Millennials who value training and mentorship. Moreover, both generations value teamwork and personal growth. Consultants Simoneaux and Stroud recommend a two-way mentoring program. Baby Boomers offer knowledge and relationship experience while Millennials share technology experience. The latter, currently used by companies such as UnitedHealth and Target is often called "reverse mentoring". Studies are finding positive results for mentoring: advanced skill in information technology, increased motivation to learn with more resources, greater sense of teamwork, and increased innovation and ambition. 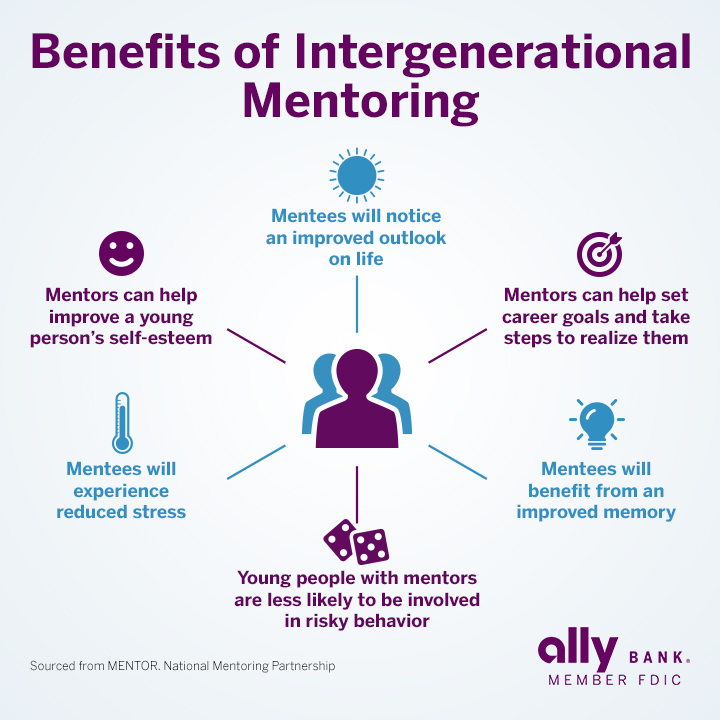 Across all generations, generating mentorship opportunities through job shadowing is a creative and effective approach that transforms knowledge into respect for co-workers and the organization as a whole. First of all, Baby Boomers will appreciate how this experience provides perspective for the importance of their role and the strength of the entire team. Secondly, Generation Xers will value the creative learning environment and opportunity to try something new. Finally, Millennials will appreciate the variety of experience, new exposure to knowledge, and increased sense of collaboration within the workplace. 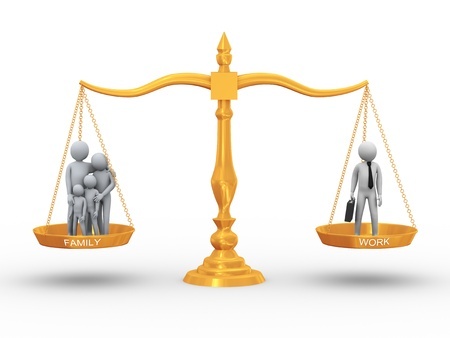 Work-Life Balance often gets thrown around. As a result, its very name separates work from all other aspects of life. Do a Google search for “Balance” and you’ll find variations of scales: serious, exact, and quantifiable. Our life roles as a husband, student, patient, and basketball player are all part of our identity. Therefore, aspects from each informs our ability in the other. Indeed, having many roles is the essence of being human, not robotic. Most noteworthy, presenteeismis one condition hurting work performance due to demands or challenges in a different life role.The gravity of this phenomenon is increasingly realized. Consequently, Global Corporate Challenge’s 2016 study attributes a cost of $1,500 billion per year. Research supports the psychological benefits of customizing workstations. Less discussed but probably more important is the small business 'break room' or breakout space.In a small office this space supports the essence of being human. Also, progressive break rooms are culturally supportive.Furthermore, they improve quality of life at work. Organize a design charette. DepressionInsufficient or reduced access to natural lighting triggers and associates with depressive symptoms across all ages. No windows? Alternate rooms. Obesity‘Do as I say, not as I do’. Probably a design flaw.Address obesity with social and environmental cues. Consequently, designed situations changes behaviors. Address tail-spinning aromas. Rather, stimulate motivation with potted herbs, colorful odorous citrus, produce imagery. DivorceThis mental and physical strain to men and women causes stress-related health problems. Create meditative moments with a reclining chair, a zen sand garden, or a hug. Host an “I am Day”. Art influences behavior, while products motivate joy. The opposite is true, too! An "I am Day" is just that...it strengthens awareness of people strengths. Performance outcomes improve 6x greater when peers are engaging their think, feel, and behavior strengths. This visual opportunity communicates one of their life roles. This can be as simple as bold-face print with black sharpie on a white T-shirt, baseball cap, or arm-band. Clarify rules (e.g. everyone plays, mediums are provided, visual creations are completed upon arrival, skill-specific titles). A workforce that responds "we foster greater talent," frees employees to being their true selves. These strategies are informed by the Doing, Being, Becoming Model-one of many occupational therapy frameworks that guide corporate wellness practice. So, what is one talent management strategy your company employs for fostering greater talent? Share your idea(s) for possible strategies in the comment section below. This post is a collaborative result of Brittany Frederick and Anita Joy Prins.